If you haven’t shipped a package internationally before, you might be concerned about not only what a courier is and how it all works, but also Customs. Don’t worry, Parcel Monkey is here to making shipping not only cheaper but easier too. Every time you have a package to ship, you can send it with confidence. Our Customs Advice will make sure you know how to complete the forms, how the duty is paid, and how to ensure your package clears customs as quickly as possible. Ensure that the government receives tax and duty for goods that are liable for charges. Nearly every country’s customs rules differ in some way or another, so it’s vital you check up on what the guidelines are for the country you’re sending to, before posting anything. Make sure your items are not illegal or restricted. Check over the Parcel Monkey prohibited items list to make sure out courier services are suitable for what you want to send. 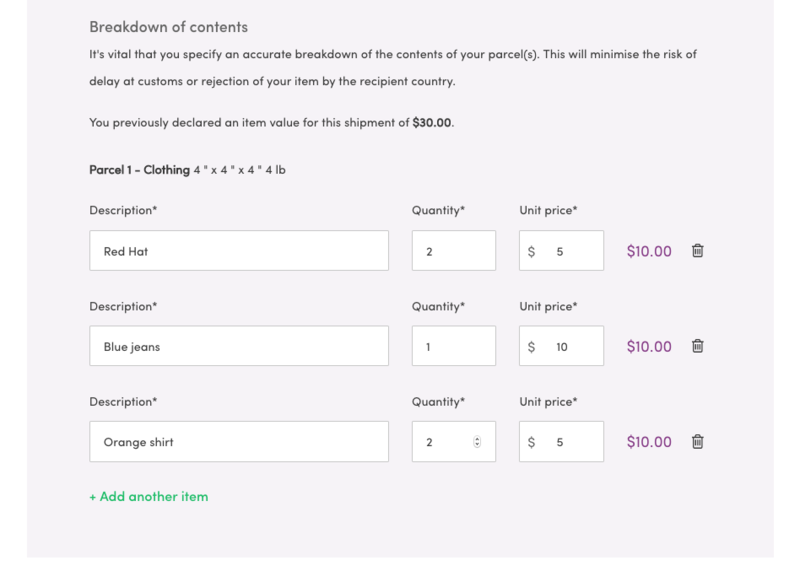 Conduct a little research to check how much duty might be owed on the items you are shipping to the destination. Every country has a list of items that they don’t allow in. This includes all the usual things you’d expect, like aerosols, flammable liquids and, yes, animals. However, there are often goods that you might not expect to see on these lists as well, so check carefully. For instance, you can’t send money to many countries; likewise, leather products, mobile phones, musical instruments and tobacco may not be accepted. Other items may be allowed, but come with restrictions or strict guidelines on the packaging. We suggest checking out our destination pages, which have information for almost every country, or simply ask us if you’re not sure. You must complete a customs declaration form when posting abroad. This will include a description of the goods, the value of them and the nature of them – in other words, whether they’re a gift, personal belongings or something you’ve sold. It’s important to be as clear, honest and upfront about the contents of your package as possible by listing every item in your parcel individually and not just writing gifts or clothing. List what the items of clothing are for example; 2 x red t-shirt, 1 x black jeans etc. Suitcases, personal belongings or clothes are not good enough descriptions and will see your package held or delayed, so be descriptive on the customs declaration form to give a full overview - it is well worth taking the time to get this right. You must be accurate when declaring the value of your items. Customs Officers will check what you are sending and duty will be applied even if you mark the shipment as a ‘gift’ and they don’t think it is, or if you say something is valued at less than it actually is worth to try and avoid fees. It will only delay its arrival or stop the package from being delivered altogether if customs have reason to believe the information you’ve provided is inaccurate. Once you have placed an order you will be provided with shipping labels and Customs Documents. The label should be attached securely to the outside of the box and you should print out 3 copies of the customs documents and attach them in a clear plastic envelope, wallet or envelope marked ‘Customs’ to the outside of the package. Before posting a package anywhere, you should check the delivery address is accurate. When shipping internationally this is even more important, plus you should provide a working contact telephone number and email address of the recipient. Providing the correct contact information is vital. Packages shipped using Parcel Monkey couriers are shipped with the delivery duty unpaid (DDU). This means any customs duty is to be paid by the recipient. In some more remote destinations, Customs Duty is handled and collected by a broker who will contact the recipient directly. The recipient should never have to pay Customs Duty in cash to a courier, if this has been requested then you should contact us. We can then investigate this with the courier. If cash is handed over to a driver, only for the Customs Duty still to remain unpaid then we will not be able to assist.